Can we roll the calender back on political correctness? 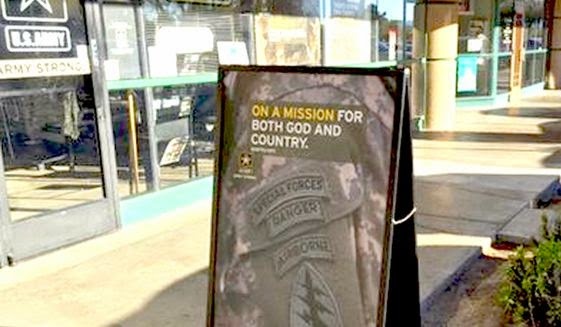 The poster features a Special Forces patch and Ranger, Airborne, and Special Forces tabs with a “stock image” the command makes available for local recruiters to use, “but the text was changed by the local recruiting personnel,” and not cleared by command headquarters, spokesman Brian Lepleytold the Army Times on Friday. “Had the process been followed, the copy shown would not have been approved,” Mr. Lepley added.